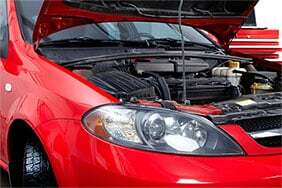 If your car is more than three years old, it has to take and pass an MOT test every year. Here's how you increases your chances of passing first time. The MOT test was introduced in 1960 by the then Ministry of Transport to check that vehicles were safe and roadworthy. Today, they also have to meet emission standards. The maximum fee test centres can charge for a car is £54.85 (prices correct as of 14/03/2018). It’s possible to find a cheaper price if you shop around. It’s worth checking discount websites, such as Groupon, for deals and coupons. 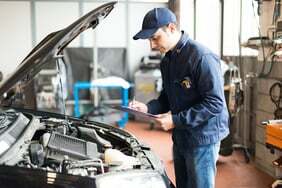 Garages often offer discounts, especially if you service your car with them. Just look out for the familiar blue “three triangles” logo. If you need any work done on top, the bills can quickly add up. But with a little bit of effort, you can reduce costs by identifying and resolving any problems in advance. Check if all lights are working correctly – headlights, rear lights, fog lights, brake lights, indicator lights and hazard lights. If any bulbs are blown, check your car’s manual to see if you can replace them yourself. Check if all tyres are inflated to the correct pressure. Also, check if the tyre tread depth is at least 1.6mm – the legal minimum. The driver’s view of the road shouldn’t be obstructed. 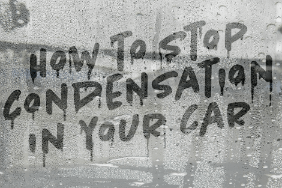 Check wiper blades for damage and remove any stickers that might block the view. If any of the blades are worn, you can replace them yourself. Make sure the car is presentable, inside and out. The tester can refuse to carry out the inspection if the car is cluttered and dirty. The results are sent to a central database, which means you can check the MOT history of any vehicle. This comes in handy if you’re buying a used car. 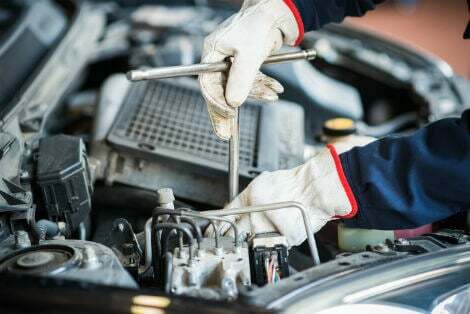 Regardless of whether your MOT test is due, regular check-ups and servicing are essential to extending a car’s life and keeping its resale value. MOT tests will check the Vehicle Identification Number or VIN is visibly displayed on the vehicle. The VIN is essentially a unique serial number that's stamped into the inside of the vehicle. The mechanic running through the MOT will check the registration plate to make sure it meets currents regulations. This includes the spacing and lettering but also the condition and stability of the license plate. The MOT will run through a set list of checks including the colour, condition, safety and aim of your car lights. The person conducting the MOT will check that the steering and suspension is operating normally and that both are in good condition. The MOT tester also checks that the wipers and washers give the driver a clear view through the windscreen. The tester will check to make sure the windscreen is free of any damage such as cracks or chips. If the damage exceeds 10mm within the driver’s line of site this will be considered dangerous and will have to be changed. During the MOT, the tester will check that the horn is functioning normally. The MOT will check the condition of the vehicle’s front seats for their safety. The seatbelts are also checked over for their condition and safety. The tester will check the functionality of the doors to make sure they open and close correctly and are secure when closed. The vehicle’s wing mirrors will be checked during the test to see if they’re in good, working condition. 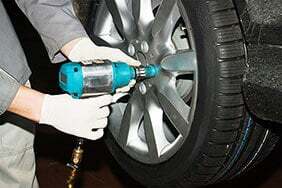 The condition of wheels and tyres are a hot topic at the moment in terms of public awareness. They’ll be checked for condition and security but also tread depth to make sure they’re not too worn to the point of being dangerous. 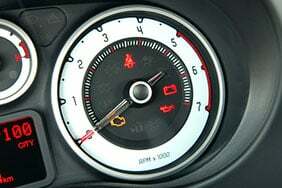 The MOT tester will check the condition of the brakes to make sure they’re functioning normally and safely. During an MOT test, the fuel system will be checked for leaks to make sure it’s functioning properly. The condition of the exhaust will be checked for leaks that may be considered not safe. The MOT tester will check that the vehicle’s emissions fall within safety guidelines. If the inspection picks up a problem related to any of the listed things that's classed as 'major' or 'dangerous', your car will fail the test. You’ll receive a VT30 certificate outlining the reasons for the failure. The test can also identify other, less immediate problems. The mechanic may include some ‘minor faults’ on your certificate. 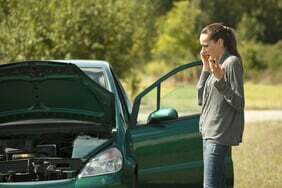 These are problems which aren’t yet serious enough to cause your car to fail its MOT. For example, your tyres may be worn, although not yet below the legal limit. First published 30 February 2017.